Rev John MacMillan was a Covenanting minister who survived the Killing Times. He founded the Reformed Presbyterian Church, which survives as a sect of the presbyterian church, and which claims to be the true Covenanter church, adhering to Covenanter priniples. 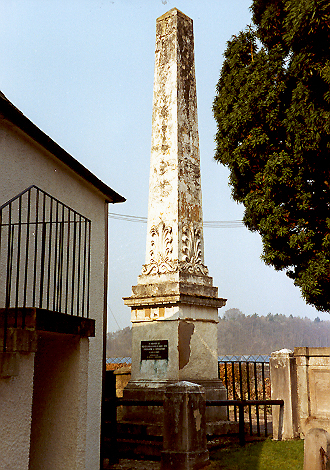 The obelisk in memory of Rev John MacMillan is located at the south-eastern corner of Dalserf Church. The new stone plaques were erected by the SCMA in 2000-2 to replace the older worn stones.